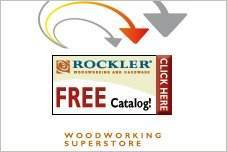 Free router table plans are available in many configurations, from simple tables to complete workstations that include shelves, drawers and dust collection systems. 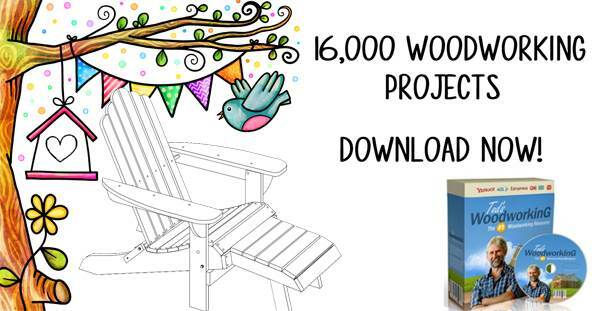 Choose a plan that works with your space and needs. Some plans include commercially made components for ease in construction. 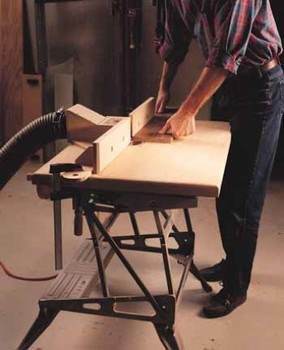 A router is a great addition for any woodworker's shop, but it requires a specific table to use it properly and efficiently. 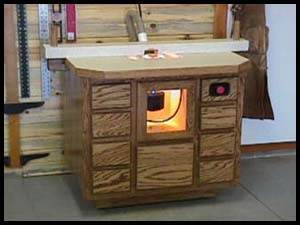 There are many commercial router tables available, but you don't need to spend extra money when you can build your own, with free router table plans. Build a rolling table, fold up table or table top model to save space in a small shop. A fold up table is great when there is no floor space for additional tables, and a tabletop model gives you portability to take your router wherever you choose. Choose a plan that works with your space and needs. Some plans include commercially made components for ease in construction. 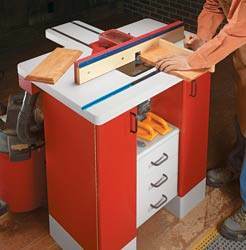 Step by step plans for a sturdy router table with ample storage and a convenient dust collection system. Router table with lift out router table plate made with countertop material. 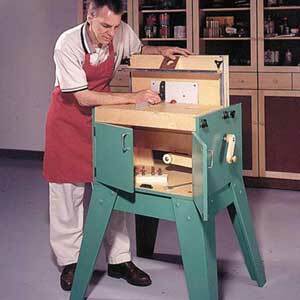 A router table is a great addition to any shop and this one also makes a great portable table. 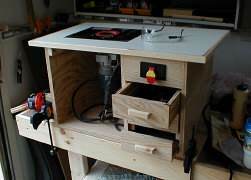 Build a useful router table for your shop for about 50 dollars. 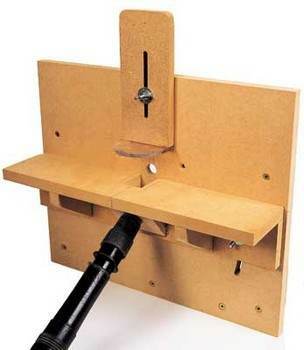 Build a router table that is made with a wooden spool base. 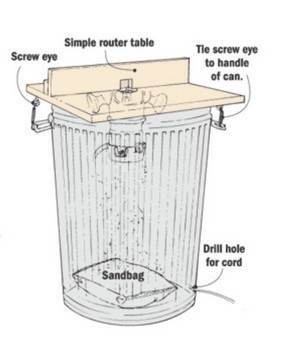 Build a router table that uses a trash can with a sand bag inside for its base using this free woodworking plan. 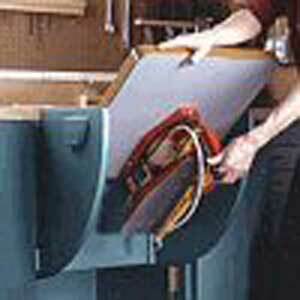 With this plan you can build a router table that is strong, sturdy and has drawers for storage. 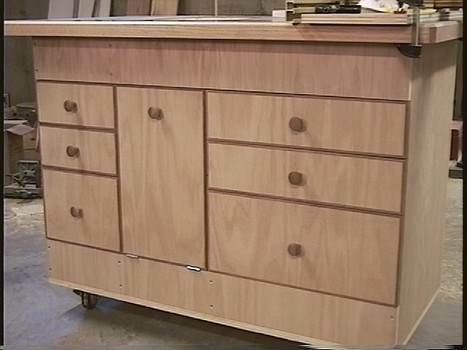 Unlike most router tables this table is good looking and fully loaded! 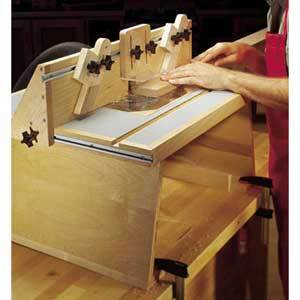 Build a simple yet useful router table for your shop using these easy to follow instructions. 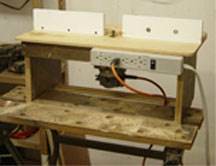 Build a horizontal routing table for your workshop by following these instructions. 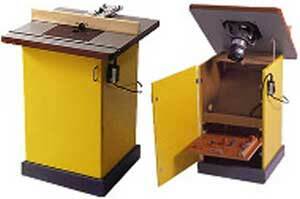 This ultimate router table includes materials, supplies and cutting diagrams only. No instructions. 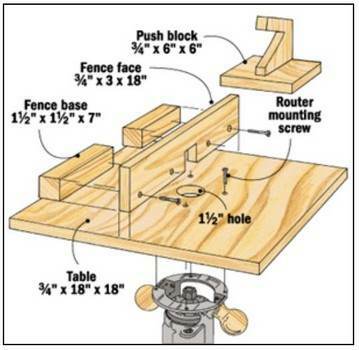 Here are instructions on how to build this benchtop router table that has two drawers for storing bits and other items.